The SME sector is considered the backbone of the Indian economy, contributing 45% to the total manufacturing output, and 40% to exports. 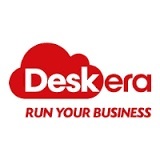 Deskera, a leading business software provider in the Asia Pacific region, launched a skill development program on Cloud ERP technology for Indian SMEs and students from educational institutions to enhance their technological expertise and help them thrive. As part of the program, the SMEs and university students would be given hands-on training on Enterprise Resource Planning (ERP), one of the most sought business software in the market. After the completion of the practical sessions, Deskera, the fastest growing ERP vendor in South-East Asia, would be granting free licenses to these enterprises while the students would be learning a new skill set to add to their professional profile. This initiative addresses a critical need in India where SMEs have very low productivity due to their low scale and poor adoption of technology. At 48 million, India has the second largest number of SMEs in the world after China, and only a small percentage are exploring technology to become efficient. The SME sector is considered the backbone of the Indian economy, contributing 45% to the total manufacturing output, and 40% to exports. SMEs play a significant role in nation development through high contribution to domestic production, industrialization of rural areas and capacities to develop appropriate indigenous technology. The sector also contributes enormously to the socio-economic development of the country. The government has been making efforts to boost the sector and strengthen the ‘Make in India’ initiative. “We have been working sincerely to fulfill the needs of the SME segment who have exceedingly limited options when it comes to access of software that is affordable, easily deployable and configurable,” said Shashank Dixit, Chief Executive Officer, Deskera. “With the government’s focus on transforming the nation into ‘Digital India’ and leading campaigns like ‘Skill India’ it is time for us to contribute in our own ways”, he added. India is set to become the world’s youngest country with 64% of its population in the ‘working age group’ by the end of 2020. It offers India’s growing economy an exceptional edge that global economists believe could add a significant 2% to its GDP growth. Therefore, to make India the ‘skilled-capital of the world’, it is necessary to provide students a better practical experience, understanding and knowledge of the products that will enable them for job opportunities not just in the country, but also globally. Deskera’s Cloud powers more than 3,000 SMEs and businesses globally. This award winning software company helps enterprises run their businesses on an integrated Cloud-based platform, thus enhancing productivity and moving a step ahead in the government’s ‘Make in India’ mission. “We didn't grasp (the importance of) technology until one of my clients recommended it. I started using ERP and I must admit it has made life simpler and my business more transparent with no room for corruption and fraud,” said Chirag Mehta, owner of Nagpur-based packaged food enterprise. Being the enablers in the trend towards Cloud and automation, Deskera aims to make business simpler, more user-friendly, and automated. Its business software suite helps its customers increase their operational efficiency and streamline their processes. From Financials, Inventory and Customer Service to Payroll, Recruitment and Projects, Deskera’s Integrated Suite of Cloud-based ERP, MRP, CRM, PM and HRMS takes the hassle out of the day-to-day business functions of the enterprises.